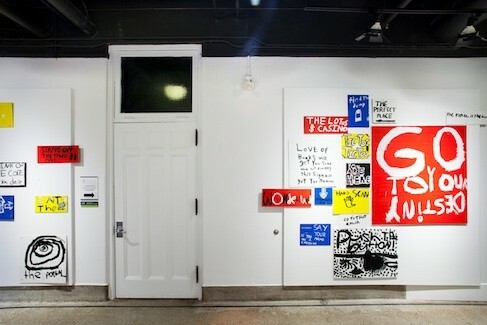 Inspired by the history of Artscape Youngplace and outsider art environments, Emily Gove and Sarah Febbraro collaborated with 90 children from Givens/Shaw Junior Public School to create a series of hand painted wood signs that lead visitors to fictional, secret hideout spaces throughout the building. Children’s artwork like outsider art, are not always taken seriously as revelant forms of cultural production. 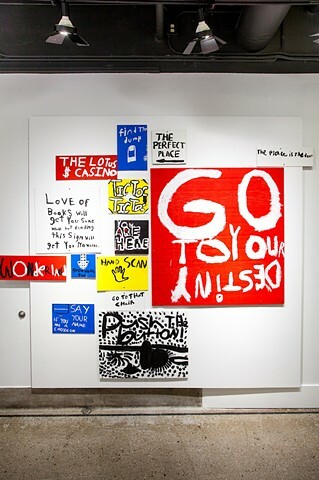 Artscape Youngplace, previously a public school turned cultural centre inspires art created from both within and beyond an institutional framework.